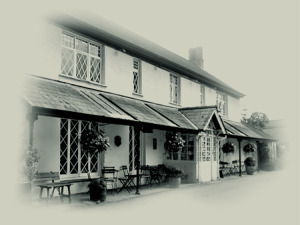 The Clytha Arms is in its 25th year of trading with Andrew & Bev at the heart of this country pub, with its warm friendly atmosphere open log fires, sofas and settles make for an inviting comfortable pub & restaurant. The Clytha Arms was voted Country Pub of the Year 2016, 2015, 2014 and 2011 while highly commended in 2012 by The Campaign for Real Ale (CAMRA). We are also celebrating 22 years of being featured in the CAMRA Good Beer Guide. You can pop in for a pint and tapas or full three course Sunday lunch with our extensive wine list. Whatever takes your fancy. Head Chef is Andrew Canning, assisted by daughter Sarah and her partner Roger Cottrell. and only 40 minutes drive from the capital city of Cardiff, with its many historical attractions and superb shopping facilities. We have three rooms, including a large four poster room, all en suite (bath and shower taps) with TV, DVD and specialist tea/coffee facilities. We can also offer a private room for small conferences with video facilities and refreshments as required.